Video games have come quite a long way from the times when you had to use your imagination in order to see that pixels on the screen were a tank or an airplane or a spaceship. As time goes on and technology becomes not only better, but more affordable as well, console and PC hardware manufacturers come up with more and more impressive tech that allows developers to really push the boundaries of what is possible, both in terms of graphics and complexity. Where once Mario went from left to right and jumped on goombahs in Super Mario Bros, he is now able to jump from planet, controlled with motion sensors and faces huge bosses among many other challenges in Super Mario Galaxy. Where Blizzard entertainment once started out with an action-puzzler, such as The Lost Vikings, they have presented gamers all over the world with expansive worlds, which are populated by thousands of real people who can cooperate and take on massive quests in World of Warcraft. Not only gameplay has evolved as time goes on, graphics have made amazing strides in a relatively short amount of time. Like we said at the start of the article, pixels gave way to sprites, which gave way to primitive 3D graphics that have only gotten better. These days’ games like Battlefield 1, Uncharted 4, Persona 5 and many others offer some of the most amazing graphics that anyone can hope to see on consoles and PCs. On PCs there is a catch though. With computers, your graphics will only be as good and look as smooth as your Graphics Card will allow (on consoles, you are stuck with the GPU that the console comes with, which means that all games will work with that particular console, but at the cost of performance). And yes, all computers come with an integrated graphics solution, but you will find that most modern games will either run horribly on them or not be playable at all due to performance. So, in order to get the most out of your games, a good card will mean the world of difference. Some of the language used in this article is highly technical in nature, but should make sense to most people looking for a good graphics card to play games with. If there are things that you don’t understand, feel free to perform a google search, you will find a metric ton of information on it. With that out of the way, in the rest of this article, we will go over some of the best options available for modern PCs, from the most amazing and expensive cards, to budget ones that will get the job done without much frills. Nvidia GeForce GTX 1080. The best high end graphics card currently available. This beast of a card will run any and all games that are being released right now. In several benchmark tests the GTX 1080 has proven to be up to 30% faster than the previous Nvidia high end model and it consumes 30% less power as well. The Pascal architecture (basically the way the card has been designed) has been vastly improved when compared to previous models, offering smoother performance at a significantly reduced power and resource consumption. Be aware that these cards are so powerful that you will also need a very good processor, since even with only one card running a game on Ultra settings in Full HD resolution will run into CPU limits. This also means that running two cards in SLI will also require an exceptionally powerful CPU as well. This card is Virtual reality ready as well. 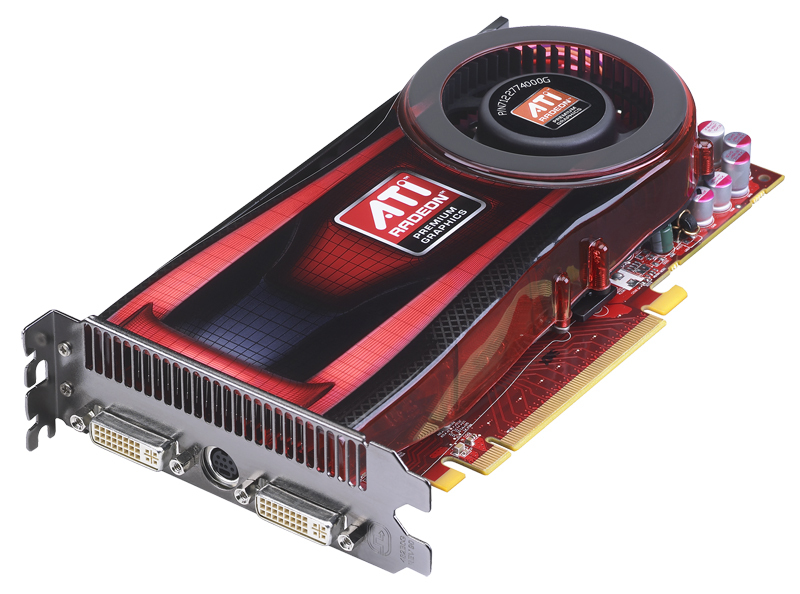 The one drawback with this card is the price: it will cost you around $800-850. Nvidia GeForce GTX 1070. Offering great performance for a lot less money, the GTX 1070 is a more affordable alternative for the 1080, if you don’t want to make such a huge investment. The differences between both cards can be summed up as: the 1070 has fewer shaders, slightly lower clock speeds, and GDDR5 memory instead of GDDR5X, which together result in a lower TDP of 150W versus the 1080’s 180W. Aside from this, the 1070 is still one of the best cards that can be bought on the market today, and will run you anywhere between $350-450. Radeon R9 390. If you still want really good performance, but don’t want to spend as much money on a card, this is the way to go. This card is based on the Hawaii architecture, which is rather old in computer terms (from 2013), but still performs amazingly well even at the highest settings. The 390 takes the R9 290 (its predecessor) and doubles the amount memory and pushes the RAM clocks from 5GHz to 6GHz, with a slight increase in core clocks as well. This card is capable of running most modern games on full HD with Ultra settings. The downside is that the card is rather large and consumes quite a bit more power than competitor cards, and the Hawaii architecture is not as efficient as recent offerings. On the other hand, this card will run you about $250-270, which is very good value for money.